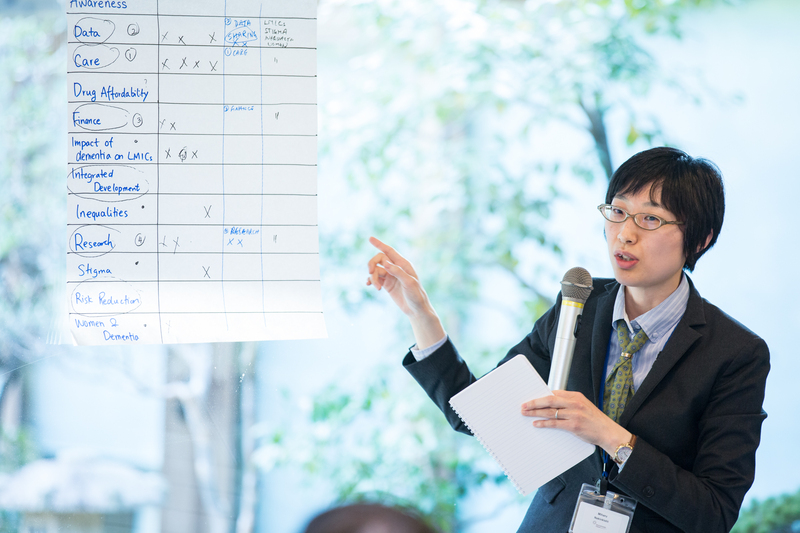 Miharu Nakanishi, Chief Researcher, Mental Health and Nursing Research Team from the Tokyo Metropolitan Institute of Medical Science, Japan, reports for WYLD from the World Dementia Council meeting and following events – 13th-15th March 2018 in Tokyo. As an associate member of the World Dementia Council (WDC), a representative of WYLD is invited to join every WDC meeting, and I was selected to attend the latest meeting held on 13th-14th March in Tokyo, Japan. Mitsunobu Kano from the WYLD network also attended the meeting as an observer. To open the meeting, Harry Johns and Jeremy Hughes were welcomed in as the new chair and vice chair of the WDC, respectively. Yves Joanette, the former chair, kindly acknowledged WYLD’s contribution to language translations of the Global Care Statement. A focus of the meeting was agreeing priority areas of work for the WDC to make a difference during 2018-20. The dementia challenge will not end by 2020; it will be unrealistic to get everything done by then. The Council want to focus on priority areas that need more attention and can begin having an impact by October 2018 when the council will meet at a memorial event in London to mark 5 years since G8 Dementia Summit. These priority areas were chosen based on the WDC being able to play a unique role that does not duplicate the work of other organizations, drawing on their strengths of global advocacy, global leadership, and being a global network. All members of the WDC have diverse background but sit on the council as individuals rather than representatives of their host organisations. A shared aim of the WDC and the World Young leaders in Dementia network is to ensure dementia receives international attention and remains a governmental priority. In the global view, different countries including low and middle income countries are at different stages regarding dementia education and the support provided by their health and social care systems. No country should be left behind. More detailed information on four priority areas is available on the WDC website here. Following the WDC meeting, two national newspapers, the Nikkei and Financial Times, held a Japan-UK Dementia Conference on 15th March in Tokyo to stimulate international collaboration and pioneer sustainable initiatives in dementia. 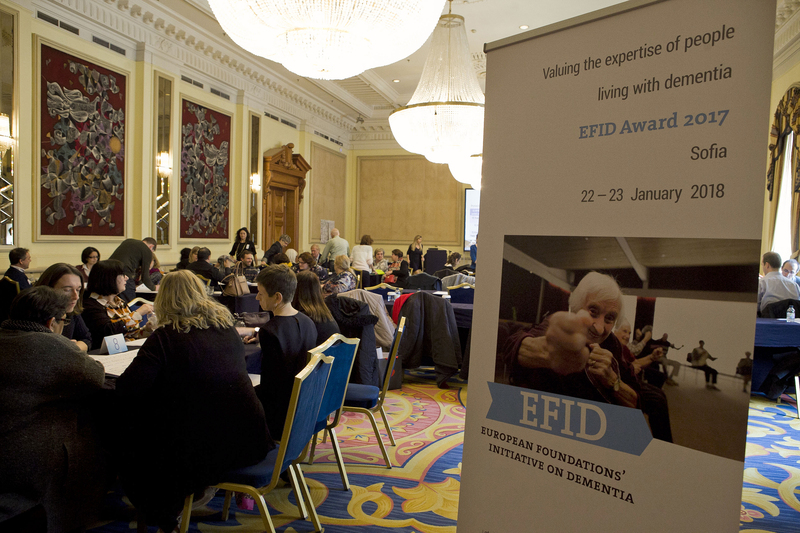 It is now five years since the global ambition to develop disease modifying treatments for dementia by 2025 was set at the G8 Dementia Summit in London. Several ongoing efforts devoted to reaching the goal were discussed at the conference, including a greater international effort to establish public-private partnerships (PPPs). Several Japanese WYLD members participated in the Session I titled ‘Current Challenges for Achieving a Dementia-Friendly Society: Narratives of Stakeholders’. Mitsunobu Kano served as a moderator of the session. He talked about the ‘pain’ that persons living with dementia and their families experience in their lives with dementia. Satoko Hotta presented several community activities involving persons living with dementia in Japan. I introduced the mission and activities of the WYLD network so far and discussed the rationales of Dementia Friendly Community activities. A statement from the conference is available from the Nikkei website here. All movies of the conference are also available both in Japanese and English at the Nikkei website. It was nice to meet with other WYLD members in the Japan-UK Dementia Conference, some of whom I had little contact after the workshop of ADI 2017 in Kyoto. Reflecting on the few days, I felt that the WDC is making good progress in identifying the unique role they can play in addressing the challenge of dementia. This is encouraging for members of WYLD: we are also finding our own way to make a difference for a better world for persons living with dementia. Although emphasis is being placed on the goal of discovering a disease-modifying treatment, there are many persons living with dementia at present, and even more persons will have dementia in the future. The quality of life of people currently living with dementia was kept in mind and discussed throughout the meeting and conference, as were concerns about the scarcity of dementia care research. We discussed the importance of telling personal stories about dementia in the media to increase governmental attention and keep dementia on the agenda. However, contrary to a strong emphasis on involvement by the WDC, it was the shame that the Japan-UK Dementia Conference did not invite any persons living with dementia from Japan to take part. While I am a researcher working mainly with health and social care workers, I feel that co-production with persons living with dementia should be further explored to develop dementia friendly communities in Japan. I believe other Japanese WYLD members are currently seeking a way forward, and they will find a clue via the international exchanges that take place within the WYLD network. I’m grateful to have been given the opportunity to take part in these meetings and hope to meet with more international members of WYLD in the future.